Formation of Right to Information Action Committee with the efforts of Paryavaran Mitra. Right to Information Action Committee advocating for reforms in the Right to Information Act & taking steps in that direction. The Right to Information Act was implemented in 2005 with the objective to bring administrative transparency & accountability in functioning of government departments. The purpose was that information which lies in control of government departments & public authorities can be accessed by citizens. Hence, it was a revolutionary act conferring to citizens the right to demand information from the government which the latter is bound by the act to provide, which was not possible before. To carry out its purpose, various offices & commissions at both national & state level were provisioned to be constituted under the act. To give teeth to the act, there is also stipulation for punitive action against defaulting officers. On 12th October 2008, Right to Information Act, 2005 completed 3 years of being in operation. The act has been in awareness in the progressive state of Gujarat. People are making use of this act to obtain their rights. This has brought a ray of hope among people to get their due rights. There are many instances wherein people have been successful in obtaining ration card, pensions and land documents. However, it is no longer being taken seriously by the government departments & public authorities. Government officers consider this act as an additional burden in their work & have spread the impression that the act is being misused to harass the government officers. The fact though is that, if there is no wrong in the documents, the real facts are mentioned, there is no corruption, how can these be than misused to harass the officers? Adding to the non-seriousness about the act among the officers is the sad fact that the entire state level redressal & implementing structure of RTI Act is insufficiently staffed. Therefore queuing up of pending applications has resulted in officials of public authorities losing the seriousness & fear of the act. The situation today is that the very essence of this act has been lost in the third of its existence. This has resulted in loss of morale among common people. Some such affected people came together & formed a committee to deliberate various issues pertaining to the Right to Information & take them forward. Following are the details of violations of the act against which the Right to Information Action Committee was constituted, what were the specific objections raised, demands made & cases pursued by the committee. The prime objective of this act is to bring administrative transparency in government systems & to get rid of corruption. The reality however is different from that desired. The act is loosing its spirit & relevance due to loopholes in the act itself and the attitude of those implementing it. There are various aspects which are weakening the workability of the act. Work towards advocating for & implementing the changes required for effective working of RTI Act. To create a public forum to deliberate on various aspects of and work on the issues of RTI. Work out its own structure & procedures so that it can gradually move towards functioning as an independent public forum. Negligence & laxity of GPCB in working in consonance with the rules & regulations of the RTI Act. An important agenda of the Right to Information Action Committee, apart from lobbying for changes in the implantation of RTI Act, is also to work towards making itself an independent public forum. It is beginning to work out its own structure, procedures & norms to be able to function as a forum to involve people from all walks of life in attempting to implement the RTI Act in its true spirit. Based on the experiences of Right to Information Action Committee in practicing constructive use of the act, the factors blocking the effective implementation of Right to Information Act are elaborated below, which formed the case as articulated. There is a deluge of complaints & appeals in the State Information Commission. The act defines a limit of 30 days for government department to provide information to the applicant, failing which the applicant approaches the state commission. But the state commission is managed & run by a sole commissioner. Apart from the commissioner, there are posts for 12 people in the commission-6 permanent & 6 temporary. As a result of this, applications & appeals made under sections 18 & 19 are taking as long as 2 years to be redressed, resulting in stacks of unresolved applications. Clause 25(4) of the act requires that copy of the annual report of the State Information Commission be tabled in the state assembly by the government. However, at the end of three years, copy of annual report of the State Information Commission has not been once presented in the assembly. This has happened in the absence of state government providing complete details to the information commission. The RTI Act does not provide for any punitive action against the first appellate authority. This results in applicants having to face delays & hence injustice at the level of first appellate authority itself. In 2006 the state government approved to fill a total number of 35 posts including 2 information commissioners & assistance staff. Two years after this decision the said posts have yet not been filled. As a result the status as on 31 March 2008 was – Six thousands six hundred eight (6068) complaints & appeals were received by the commission , of which Two thousand four hundred one (2401) were resolved, while Three thousand six hundred sixty seven (3667) still lay unresolved with the commission. As per clause 4 of the act, every public authority is required to publish in print & on-line (put up on website) the 17 point information. Many public authorities have still not published complete information. Those who have done so do not update the information regularly. There still is a need to provide inputs on RTI Act to strengthen government officials on this count. Reacting specifically to the attitude of GPCB towards the complaints & appeals made under the RTI Act, the committee very vehemently demanded removal of & departmental inquiry against the Appellate Authority and Public Information Officer of GPCB. Till now GPCB has received more than 100 first appeals. In none of the orders of first appeals has it been mentioned as to where & whom to approach for second appeal. This has deprived many appellants from taking the benefit of the provision of second appeal in the act. In most cases the requested information is issued by Public Information Officer after the stipulated time limit of 30 days. Even in such cases of violation of norms, the First Appellate Authority does not accept the appeals & stamps the order as information received by appellant, and rejects the appeal. The issue of breach of procedural norm by the way of not providing information or being handed over information right on the day of the hearing is not considered, and hence despite the clause 7(1) being violated the Appellate Authority does not accept the appeal. Paryavaran Mitra had started to experience laxity on part of GPCB in providing information in various ways. This prompted the members of the organization to make a check if GPCB had similar attitude in providing information to other appellants too, or Paryavaran Mitra was the only aggrieved party. The strategy was to advocate for reforms in the functioning of offices constituted for implementation of the RTI Act & for effective implementation of the act through creation of a public forum. This forum would involve common people from different disciplines & people who are aggrieved in obtaining information under the act. This forum would seek information, create & maintain pressure on concerned departments to take action against government officers violating the norms of RTI Act, highlighting gaps in the RTI Act that need to be plugged for effective implementation of the act. Paryavaran Mitra wrote to GPCB asking for details of complaints & appeals received by GPCB (Names & addresses of applicants, what information they asked for & what was the outcome of that or orders passed on those applications). GPCB provided the above said details and it further established the laxity & negligence experienced by Paryavaran Mitra. The details showed intentional misuse of loopholes in the act, violation of norms & orders pertaining to the act by GPCB, and no effort or intention what so ever by the public authority to work in accordance with the spirit of the act. This was the experience of citizens who had asked for information from GPCB. Paryavaran Mitra contacted the aggrieved people whose names were mentioned in the list provided by GPCB, who did not get justice from the public information officer of GPCB. These people came together, upon being invited by Paryavaran Mitra for meeting and formed the Right to Information Action Committee. The committee members started with sharing experiences of demanding information from GPCB under RTI Act, and what were their opinions on the implementation of the Act. Would make the public authority accountable by constant questioning, raising issues & brining issues to the notice of concerned authorities. The honorable Chief Minister of Gujarat. The Principal Secretary, Department of Forest & Environment, Government of Gujarat. The committee would have secretariat in Paryavaran Mitra till the time the committee has its own independent structure. A working group of the committee would be made. To involve senior citizens, retired people & more women. The committee is in the process of making itself an independent entity, and is working towards realizing its objective of making contributions for effective implementation of the RTI Act. The Structure: The committee is gradually taking the shape of an independent public forum, which is a very important step in advocating reforms in the practice of RTI Act. Advocacy: The committee has started to engage with various public authorities/ government officers in seeking information, stating concerns & complains & highlighting issues. The Right to Information Committee uses its own letterhead for all communications. The committee now has certain procedures & systems in place and also meets regularly to share & plan ahead. As mentioned above, the committee engaged with several public authorities with the view to bring necessary changes in the functioning of offices implementing the RTI Act & to make the implementation of the act more effective. The Right to Information Action Committee wrote to various public authorities (some of them mentioned above) stating following demands, based on the experiences of committee members in practicing the RTI Act. On 19-9-2007, the General Administration department approved constitution of department for Gujarat Information Commission, Gandhinagar under RTI Act. In this, there is approval to appoint 2 state information commissioners, 1 assistant commissioner, 3 legal officers and other such appointments totaling to 35 posts. This approval should be implemented with immediate effect. The demands made in petition SCA no. 7686/2008 (Paryavaran Mitra v/s. Government of Gujarat) be accepted with immediate effect. The State Information Commission should be allotted a separate building/ physical space. For example, the house of Lokayukt(a public officer) near old Sachivalay (The premises that houses all departments & offices of government of Gujarat) is presently unoccupied. If the commission office is housed in that building, it will be more approachable for people. To undertake an inquiry if all public authorities of the state government have performed the activities/ work as per clause 4 of the Act or not. To ensure compliance of the clause if not done. Departmental enquiry should be undertaken against those Public Information Officers who have been reprimanded by the Information commission. The First Appellate Authority & Public Information Officer should be removed from their positions & a departmental enquiry should be undertaken against them. It should be ensured that GPCB provides complete information to appellants without harassing them, and that Appellate Authority, here being the highest administrative authority, should ensure compliance of all clauses of the act by the Public Information Officer & should take necessary action in case of failure to do so. Action on these demands has been lobbied with several officers & perusal to get them enacted is underway. As a result of these efforts, transfer has been announced for the appellate authority of GPCB against whom there has been dissatisfaction regarding his discharge of duties in his said capacity. However, an inquiry into his conduct as the Appellate Authority & dissatisfaction expressed against him is yet underway. Rationale: Why Paryavaran Mitra took it up? Paryavaran Mitra had been using RTI Act for obtaining information in its work on environmental and related social & legal work. GPCB is the public authority with whom Paryavaran Mitra engaged the most with regard to information. In fact Paryavaran Mitra has come to be known as a resource organization for work on RTI Act and many other organizations & individuals approach it for acquiring information using the act. However, the indifference faced by Paryavaran Mitra from GPCB over a few months in receiving information posed an impression that with passing of time the act was being taken lightly by GPCB. An enquiry made by the organization about GPCB’s response to other appellants established its doubt regarding intentions of this public authority. Paryavaran Mitra had benefited a great deal through the use of RTI Act in its work as a large chunk of their work comprised of obtaining information & using the same to enforce & take actions. Paryavaran Mitra thus fully realized the relevance & utility of the act not only conceptually but much through practice. Therefore deterioration in implementation of the act was of concern to organization. Weakening of the RTI Act, due to its own omissions as well as intentional inefficiency of the machineries of public authorities, raised alarm. The fear was that this process of ensuring transparency in the working of government offices & people having the right to demand information from public servants, initiated by the act, would be backtracked. Also, the standard apprehension associated with any act or law passed by the government, that powers bestowed upon common people by the act would be, like many of those before, consumed in the great irretrievable black hole of Indian officialdom, bureaucracy, politics, or a mix of all three. This impelled Paryavaran Mitra to act to plug such efforts to backtrack the process of empowerment & promoting transparency. Public participation & involving multi stakeholders is the strength & popular mode of working of Paryavaran Mitra. Therefore the idea was propounded to create a public forum which would take ahead the above mentioned matters pertaining to the RTI Act by involving the efforts of people from different disciplines of life. As a result Right to Information Action Committee was formed. It is a part of the mandate of Paryavaran Mitra to engage with state authorities to enforce compliance with law by private as well as public institutions. Therefore strong initiatives were taken to combat sidelining of clauses of RTI Act. Taking responsibility for the formation of the committee, Paryavaran Mitra did the ground work by contacting, inviting people & organizing initial meetings of the committee. It has also offered to be the hub for functioning of the committee & be the incubator till it could function as a separate entity. Known for his vibrant role as an environmental and human rights activist for almost two decades, Mahesh Pandya’s desire to work under this field had struck him since his college days. And so began his legendary leaps towards a society where he could serve it by lending a hand to the oblivious sections of the society. 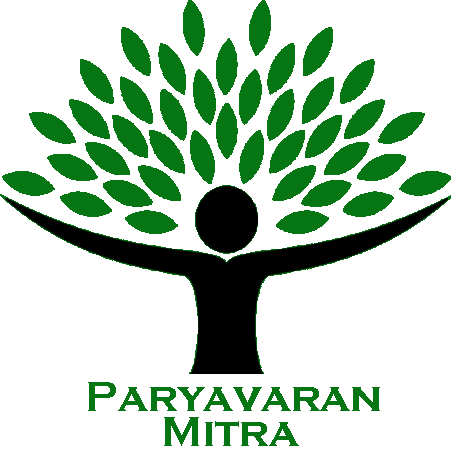 Paryavaran Mitra is a Gujarat-based non-profit organization with Regd No: E/20934/Ahmedabad working on socio-environmental issues. It was initiated in 1997 as an enviro-legal cell of Center for Social Justice within JANVIKAS to advocate for human rights in the face of growing environmental degradation and pollution.